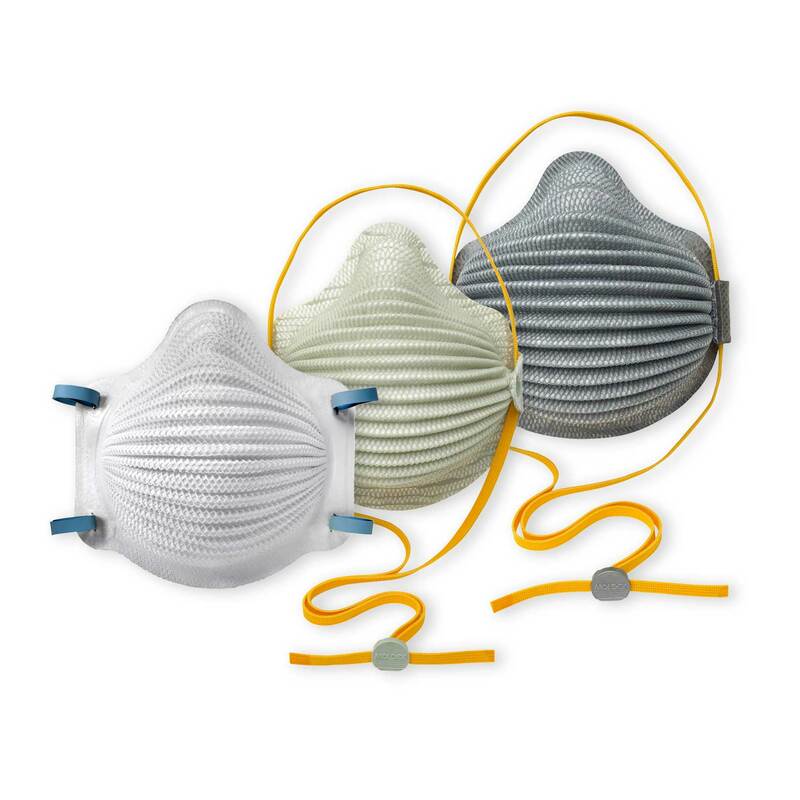 AirWave® respirators by Moldex are the next wave in respiratory protection—a revolutionary step forward from today’s disposable respirators. GREATER COMFORT & INCREASED COMPLIANCE - Patented wave technology allows easier breathing. FEWER MASKS USED & LOWER COSTS - Exclusive Dura-Mesh® shell resists collapsing in heat and humidity. BREAK THE “TAKE OFF AND TOSS” HABIT - Adjustable SmartStrap allows mask to hang around the neck when not in use. Lasts longer, lowers costs. Qualified users can try AirWave for free. Go to www.moldex.com/ohs. Booth 1801.